Notting Hill is one of the most famous and unique parts of our great city. 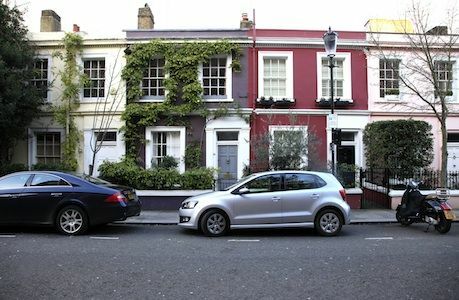 It’s beautiful and extremely varied housing stock combined with the fact that it’s a stylish cultural hotbed make Notting Hill a favoured location for those in the film, fashion and media industries as well a plethora of other professionals. 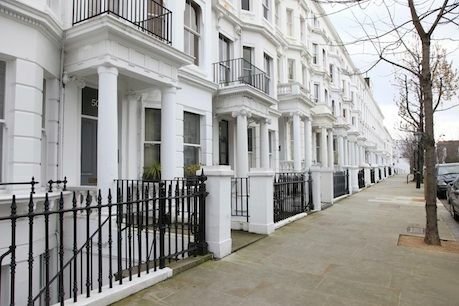 Although average rent in Notting Hill is around £3,500 per month, there are many one bed apartments available under the £2,000 per month price bracket and two-bed flats for around £2,500-£3,000 per month. Many renters in London may be surprised how affordable Notting Hill is, given its proximity to the city and its rich cultural delights. Here are the five reasons why I think it’s so great to rent in Notting Hill and why living here might just be one of the best times of your life! Notting Hill is most famous for the annual carnival which takes place every year on August Bank Holiday. Conceived in the 1960s by the so called ‘Windrush Generation’ of Caribbean immigrants who settled in the area as a celebration of their home culture, it has grown in modern times to symbolises the multi-cultural nature of the area where all residents from many different countries come together to party. Notting Hill these days is home to people from all over the globe who are proud to call this area their home, each bringing their own unique flavour to the cultural melting pot. With its iconic coloured townhouses, lively stalls, fascinating boutiques, cafes, pubs and restaurants, Portobello Road is the lifeblood of Notting Hill and a shopper’s paradise. Indeed it’s the main artery of the area, running from Notting Hill Gate at the top, under the Westway and ending quietly at the train tracks which separate this area from Kensal Rise. Portobello Road is famous for the two separate markets that take place most days of the week; the colourful and noisy fruit and vegetable market is open during the week then on Saturday it’s the turn of the world’s largest antiques market – with over 1,000 dealers selling every kind of antique and collectible to visitors from all over the world. Notting Hill has an amazing cultural heritage which lasts to this day. The Tabernacle is one of the most famous venues in London; the Rolling Stones and Pink Floyd rehearsed here in the 1990s and it has hosted many of the world’s top bands during its 40 years as an arts centre. After a recent £4 million refurbishment, it continues to thrive as a concert hall, art gallery, studio and restaurant. Theatre lovers are spoilt with two great venues on the doorstep; The Gate Theatre is an intimate setting which produces original work from rising international talent. The Print Room which recently re-located to the Coronet Cinema on Notting Hill Gate has been open since 2010 producing work spanning from dance, concerts, art, plays and multi–disciplinary collaborations. If you’re more of a film-buff then the Electric Cinema will be the perfect venue; a wonderful independent cinema owned by Soho House where you can watch the best films reclining in leather sofas. 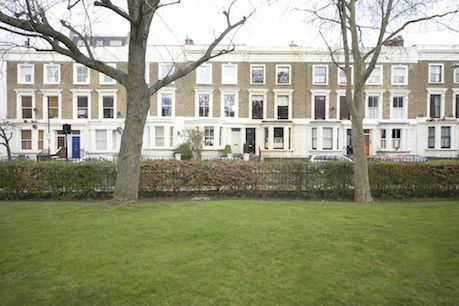 Notting Hill has long been famous for its communal gardens, long before Hugh Grant helped Julia Roberts over the railings of one such garden in the eponymous film. Many of our rental properties overlook and have access to a communal garden, oases of peace in the urban environment. It’s a little known fact that the largest communal garden, Ladbroke Square Garden is, at eight acres, second only to Buckingham Palace as the largest private garden in London. The Ledbury on Ledbury Road is one of the few restaurants in London to have two Michelin stars. Yet snooty it is not. It still retains the feel of a favourite local restaurant with welcoming yet incredibly knowledgeable staff. We highly recommend the tasting menu. Other great local eateries include Granger & Co, Aussie Celebrity chef Bill Granger’s only London restaurant, 202 on Westbourne Grove, a favoured celeb hangout, E&O a treat for fans of Asian Cuisine and Geales on Farmer St, a local institution serving classic fish and chips. Notting Hill also boasts a plethora of gastropubs, serving amazing food alongside their bar menu. 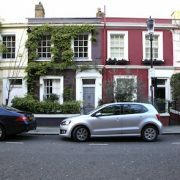 Notting Hill is popular with those in the film industry not just for its culture but also for its amazing transport links. From here it’s easy to reach the studios located to the West and South West of London. It’s also quick to reach Heathrow airport on the A4/M4 – around 45 minutes. Those working in the city have the benefit of the Central Line which cuts a swathe directly through central London via Holland Park, Notting Hill Gate and Queensway. You can be in the city in 10-15 minutes. Notting Hill also boasts several stations on the Circle and District lines, linking it to many other parts of London. For rail users, Paddington station is very close with links to the West Country and Oxfordshire plus the extremely useful Heathrow Express which whisks people to Heathrow in just 15 minutes.